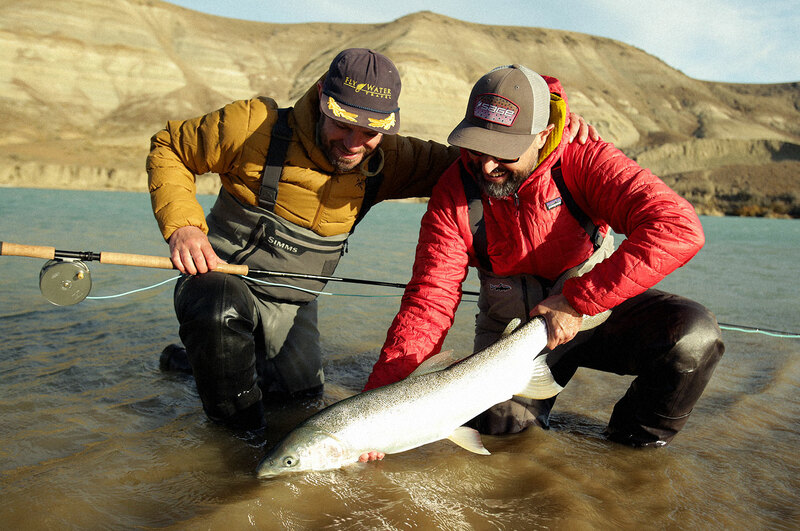 Chasing Steelhead in the world’s last great-untapped river. The perfect combination of Kings Salmon, solitude and high-end service. 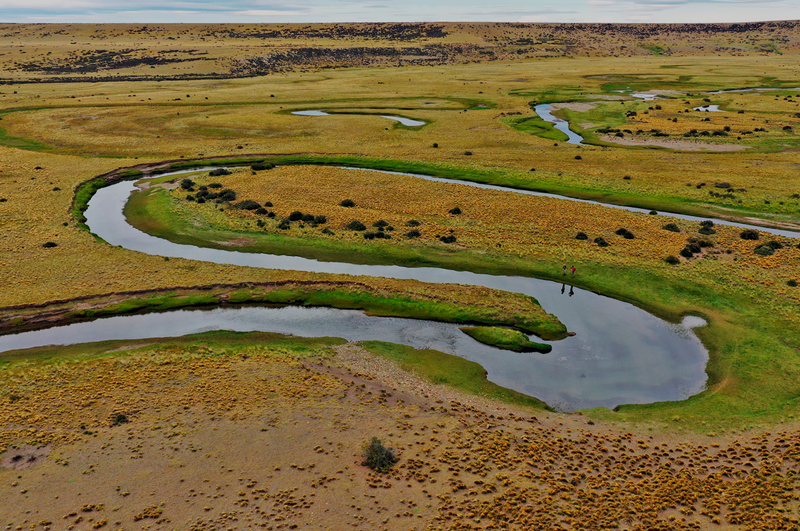 a path of real Patagonian Estancias. We call ourselves “A Guides Company”. 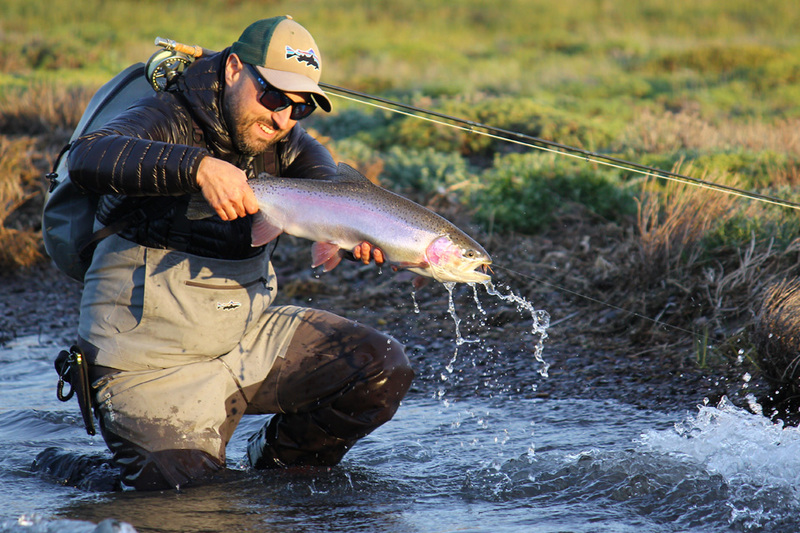 From late February till May chrome bright steelhead enter this river from the ocean in huge numbers. We based our operation at Los Plateados lodge, located next to the most productive stretch of this river. Accommodation is set in a Cabin on the riverside, approximately 50 miles upstream from the rivers estuary. Lodging is arranged for 4 anglers in two double rooms. Simple but comfortable the cabin has everything you need, even a warm fireplace. Both breakfast and dinner will be served in the Cabin, prepared by an Argentine chef. The fish were introduced in the early 1900’s, brought from Californias McCloud river. Steelhead have often been credited as being one -if not the- hardest fighting migratory fish and the specimens in Santa Cruz are no exception, where they can reach over 20lb. Chasing these fish is a profound experience and the magnificence of the river and landscape will make you feel its magic. Anglers will be picked up at the airport and driven to the river (4hs). A brief informative meeting will be held thorough lunch. After that it will be time to set up the tackle and hit the home pools with our guides. Early Session and departure before noon. 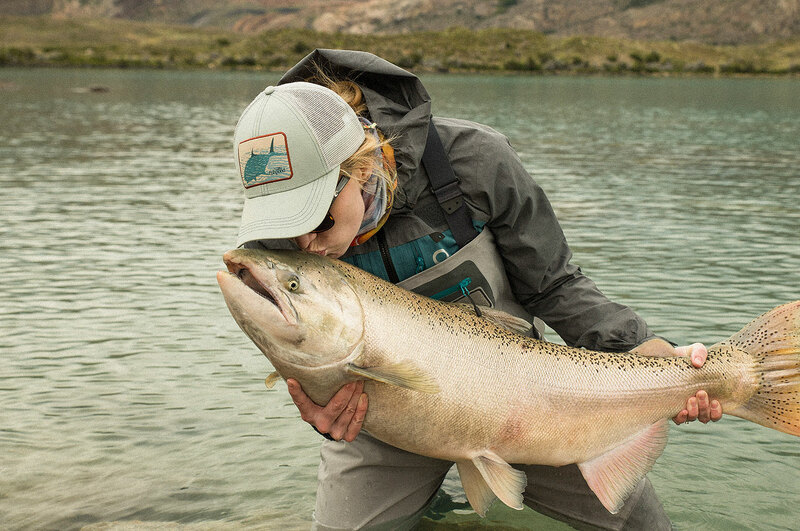 The perfect combination of King Salmon, solitude and high-end service. The river has an stable colony of King Salmon that amazes by its number. The weight of these fish go up to 50 lb and bigger! Located inside "Glaciers National Park” on a privileged spot, almost impossible to get by foot or any vehicle. The lodge continues to be today the shelter it used to be in the past. 20 comfortable rooms distributed in 5 Lodges. Warm rustic elements have been chosen for decorating the rooms. Tour menu of unique regional cuisine is the most famous along with the combination of flavors and care in the presentation of each dish. The Patagonian lamb, fresh vegetables and homemade breads are some of the favorites in our dishes. We offer different options of box lunch to take along the fishing days. King Salmon arrived to Southern Patagonia less than a decade ago. In this lonely place of the Andes they have developed a numerous population that grows every year due to the really low fishing pressure and not having many predators above them. Every year the Chinook goes upriver from the Atlantic Ocean to arrive these pristine waters. Transfer from Hotel to port. Excursion on the vessel to the front Wall of Glacier Upsala and Arrival to the Lodge for lunch. After lunch tackle up and beginning of the fishing session. Fishing morning session and departure after lunch. Arrival at El Calafate at 7pm. 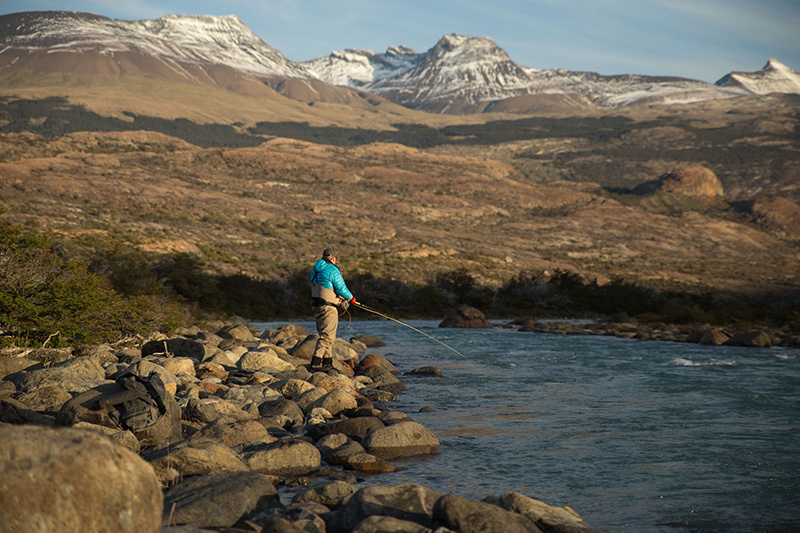 A unique trout fishing experience along a path of real Patagonian Estancias. 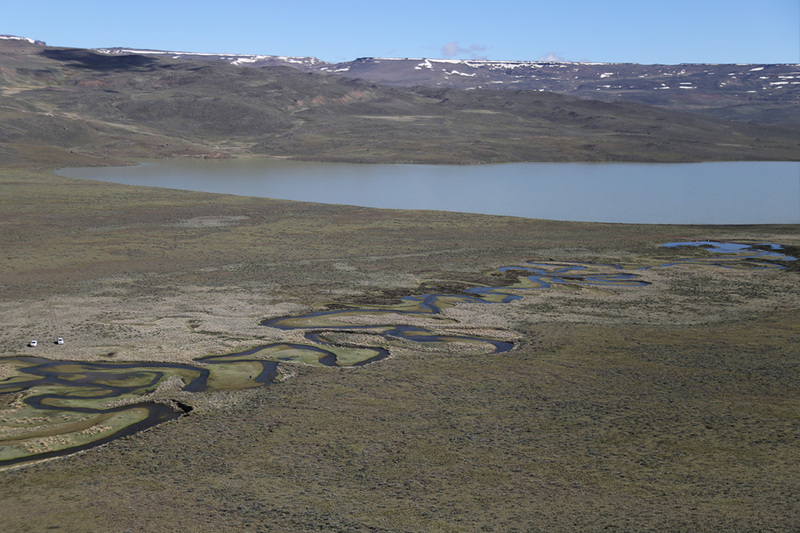 These rivers are small and demand a lot of different techniques to catch their fish. All of these rivers have been outside of the fishermen radar, one of the main reasons why they keep such a good population of brooks and browns. Accommodation is set in 3 different estancias that keep the original structure. All of them offer double rooms and a max of two fishermen at a time with a specialized service run by a family from Patagonia. Simple and traditional meals are done on the main house with vegetables and meat from its own production. Big brooks are hard to find anywhere in the world. Combined with a delightful brown trout fishing this program gives you the chance of catching trophy fish with light tackle. Each day you will have the chance of hooking a good number of fish without taking the floating line out of your reel. 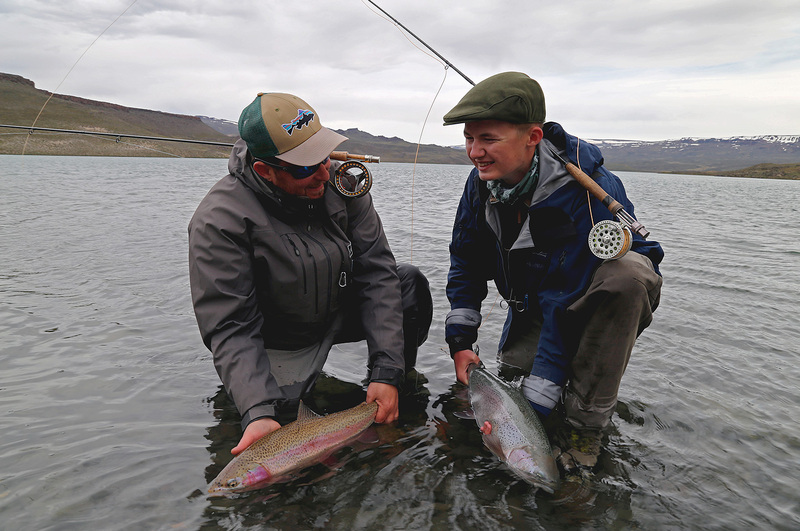 The newly discovered world-class rainbow trout fishery and dry fly paradise! This amazing fishery consists of two separate lakes connected by a 2 mile long stream. The average weight of these fish today is between 6-8 lb with plenty of even larger fish around. The brand new lodge is located next to a small hill overlooking the whole fishing area and the exceptionally beautiful Eagle Valley only 100 yards from the top lake. With its authentic cuisine and fine wines you’ll enjoy Asados (barbeque) with the rest of Argentine style menu. With a growing population in both size and numbers, this fishery will soon be recognized as a world class one, for its quality and surface action. Trout can be found all over the system, in the lakes and river with average size of 7lb. 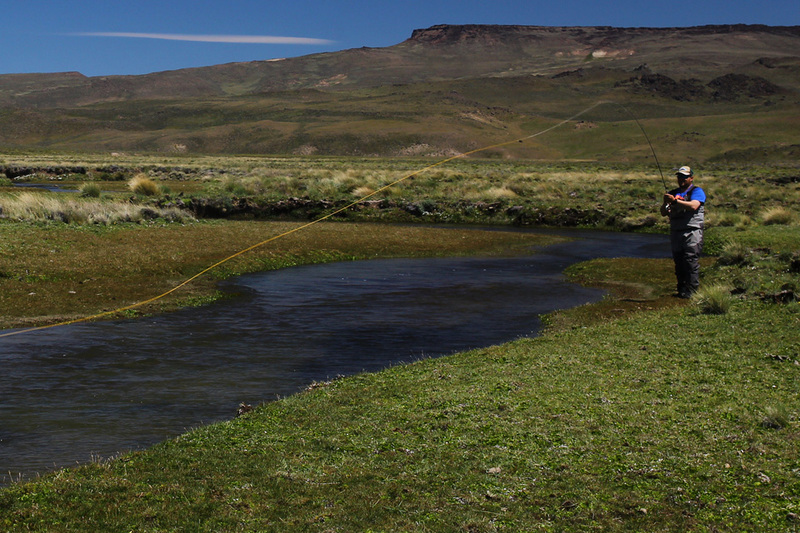 Ground transfer from El Calafate to Eagle Valley and fish in the afternoon. Skype Claumartin1 or call us: +54 9 2966 554999. - Río Santa Cruz Steelhead: March-May. - The Route of the Spring Creeks: November-February. My wife doesn’t fish, are there any activities for her? We can customize your trip combinaing 2 or more of our destinations as well as the lenght of your stay. I have visited Argetina some eight times over the last ten years. It was there that I first met Claudio and Juan Manuel who were superb and knowledgeable guides that also turned into very good friends. When things got tough they would know exactly what to do for the best, not only are they excellent world class guides, but also superb casters and fishermen. Anyone who is thinking of taking a trip of a lifetime to Argentina with Claudio and Juan Manuel, I can assure you that you will not be disappointed! I like to thank you and your team for excellent support and help during my visit to Rio Gallegos for 9 years. My entire customers are mighty impress over your standard and knowledge. Thanks again Claudio and I wish you and Juan all The best in The future. Great hospitality, loved living with the family, superb wild trout fishing, lots of wild life, and a guide who takes videos a recipe for happiness!. The guys running Tres Amigos are some of the best guides on the planet. I have worked and fished with them and you can't find better casters and fish finders anywhere. Truly superior!.